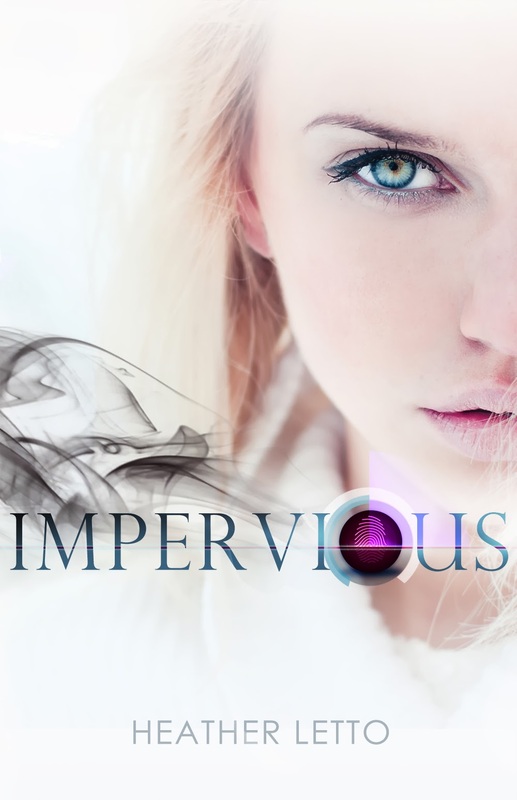 Erin's Rhewsings: IMPERVIOUS Blog Tour! 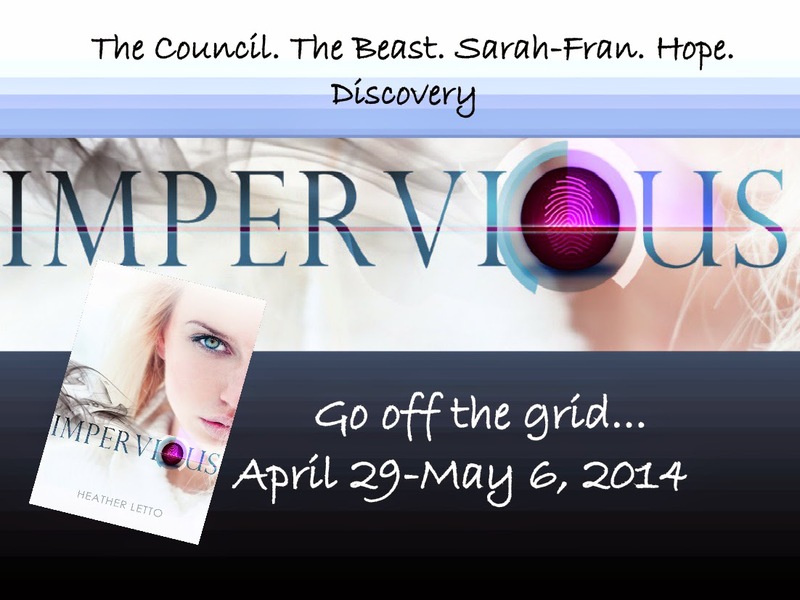 I am so excited to be a part of the blog tour for Heather Letto's IMPERVIOUS. In celebration of her debut release, Heather has a special giveaway running. Be sure to check out the Rafflecopter below for a chance to win! The residents of Impervious are the remnant—survivors of the War of Annihilation. And though the city is chockfull of pleasures to tantalize and entertain, a beast lurks in its corners haunting the residents with its presence. The Beast—a mysterious and terminal illness―has killed off most of Generations One, Two and Three. And as Gen-Four prepares to take the stage a provocative, yet questionable, new method to avoid an untimely death becomes a cultural rage. But Fran is counter-cultural. And living off the grid in true rebel fashion, her life is far from opulent. Scurrying through dark tunnels, searching for hot meals and ditching the holographic security team encompass most of her day. However, she views it as a healthy trade-off. Unaccountability means The Council can’t steal her sliver of hope―a belief that she’ll see The Epoch arrive before the beast can pull her into its fetid embrace. After losing her mother and then her Rebel mentor, however, she grasps painfully onto the splintered sliver, until a new hope is born. First through Pete. And then through a miraculous discovery. Can she outrun The Beast? A line of a dozen forfeitures, each garbed in a velvety robe, moved forward. Pete’s whisper came out with a hiss, and he pointed to the edge of the court. He burst into a fit of laughter until Fran’s sharp elbow dug hard into his ribs. Pete swore under his breath but softened his voice. Although ridiculous Gillius was laugh-worthy, Fran felt a pang in her stomach as she thought about the unveiling half a year ago. She and Chan watched the spectacle on his pirated reader, laughing until they cried at the ridiculous sport the Council had made of aesthetic perfection. The performance revolved around branding the forfeitures as celebrities, hence the ‘esteemed’ portion of their title. Another method employed by The Council to breed jealousy among the residents and encourage forfeiture. Chan’s dark ponytail whipped side-to-side as he tossed his head back with laughter. His eyes had all but disappeared into his face, only to be marked by tears as they streamed over the hollows of his cheek and dammed up at his chin strap beard. The residents reveled in The Council’s theatrics, however. Now many Gen-Three’s, and even a handful of Gen-Fours, clamored for a shot at the gold. Fran heard some even had to be put on a waiting list… Sheesh. Six months of celeb-status only told of half of the story though. Forfeitures also garnered the magical antidote during that time to assure they stayed at their peak. An untimely decline could render the whole charade a failure. Fran remembered the girls at school and how they gushed about their desire to become a forfeiture. Ridiculous. What if they missed the Epoch by one day? Heather considers herself but a worker in the field with a desire to share truth through the art of good story. 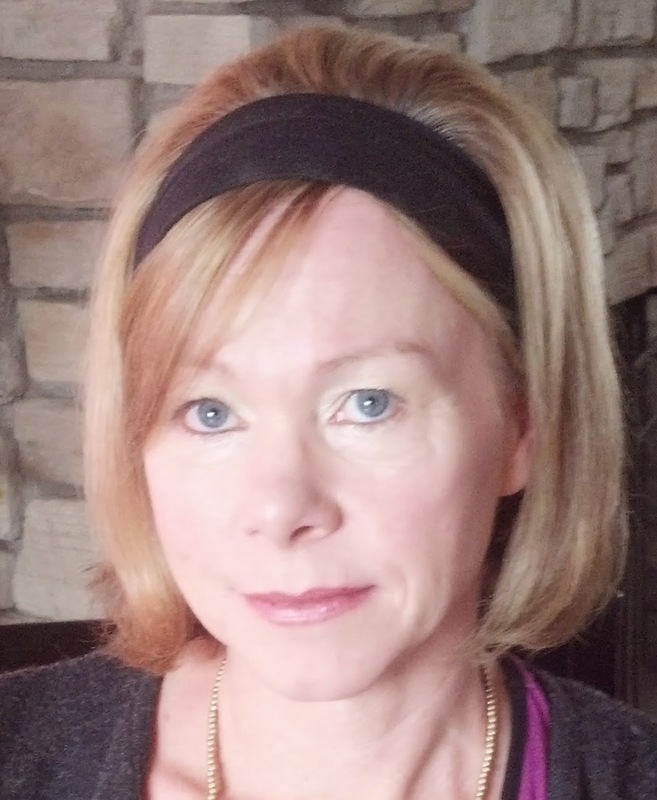 In real life, she’s the proud mother of two grown sons and lives part-time in Northern Illinois with her husband, but scurries off to warmer climates when the mercury takes a dive on the thermometer. As well as The Ascension Series, Heather contributes to WHOAwomenmagazine, The Fit Christian, Tween Girls and God, Devotion Magazine as well as Swagga for Christ Ministry. Do you run giveaways, too? Try Rafflecopter! It's free.